By: Frank G. Tunstall, D. Min. In four sovereign acts of divine power, God massively intervened in Israel in the first thirty years of the first century, and changed the course of human history. Secular historians generally make no room for any acts of God in the first century; however, I believe these four to be the greatest world-changing miracles of all time. Any person living anywhere on God’s good earth who does not seriously acknowledge them is playing a deadly game with his immortal soul. The first intervention was the incarnation of God’s Son, conceived by the Holy Spirit in the womb of the Virgin Mary without a sexual union (Isaiah 7:14; Matthew 1:23). Only God could do that, and He did it. 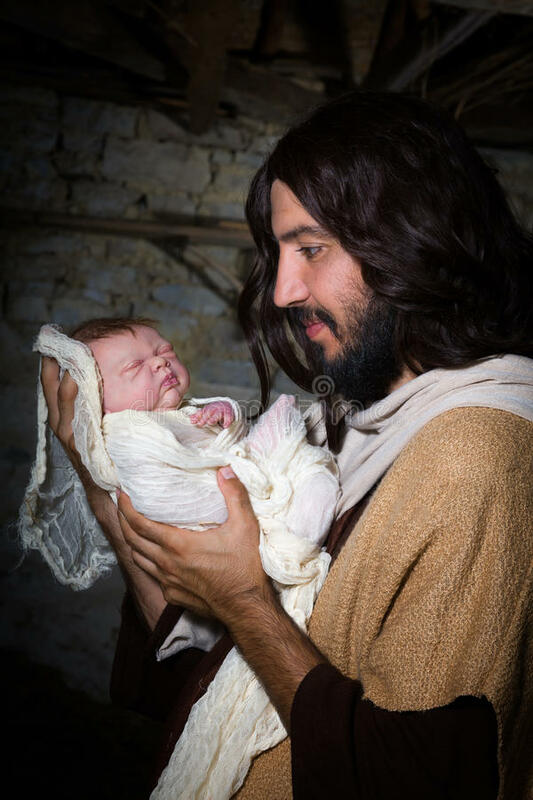 “When the fulness of the time was come, God sent forth His Son, made of a woman, made under the law to redeem those under the law” (Galatians 4:4). “The Word [God] “became flesh and blood and moved into the neighborhood” (John 1:14 Msg). Mary’s son was truly a human being in all particulars, sin only excepted (John 8:46). He came to set free every person held captive by sin (Luke 4:18-19; Isaiah 49:9; 61:1). “No one knows the Son except the Father,” Jesus taught, “and no one knows the Father except the Son and those to whom the Son chooses to reveal him” (Matthew 11:27 NIV). The prophet Isaiah had it right when he asked, “To whom is the arm of the Lord revealed?” (Isaiah 53:1, italics added). We mortals simply cannot reach up to God; of necessity He must reach down to us. Therefore, our knowledge of God comes by revelation, and Jesus Christ, born of a virgin, is the ultimate revelation of God (John 1:18). Blessed truth this! Jesus is very generous in disclosing Himself. He makes His Person and His authority known to all people who turn to Him in repentance anywhere in the world. The key to the heart of God, dear reader, is for each of us to acknowledge sincerely Jesus Christ as the Son of God and ask Him to forgive us for our many sins that have so violated His holy character (Luke 13:28, 50; Revelation 6:15-17). After Jesus fed the 5,000, the people asked Him, “What must we do to do the works God requires?” Jesus answered them, “The work of God is this – to believe the one He has sent” (John 6:29). To reject Jesus Christ as God’s Son is foolhardy beyond imagination. I dreamed that the great judgment morning had dawned and the trumpet was blown. I dreamed that the nations had gathered to judgment before the White Throne. From the throne came a bright, shining angel, and he stood on the land and the sea, And he swore with his hand raised to Heaven that time was no longer to be. When the lost are told their fate. They’ll cry for the rocks and the mountains. They’ll pray but their prayers are too late. The second, third and fourth divine interventions occurred in rapid succession over a period of fifty days at the end of Jesus’ earthly life. The second greatest miracle of all time embraces the death of Jesus on a cruel Roman cross followed by His glorious resurrection three days later. These historic events were affirmed by many honorable eyewitnesses. Jesus arose from the grave with a glorified body that was not limited by time or space. On the day of His resurrection, Jesus simply walked up to Cleopas and his friend and joined them on their journey to Emmaus (Luke 24:13-32). He spent the three hours of the walk teaching them what the Old Testament prophets said about the suffering of Messiah and His glories to follow. Jesus in His glorified body had the strength to walk seven miles, only three days after being beaten almost to death, and then nailed to a cross. Ponder it: medically speaking that walk was impossible with the punishment Jesus took; only resurrection in a glorified body could make it happen. Jesus also had the capability in His new body to prevent their recognizing they were walking with the resurrected Son of God. When they arrived at Emmaus and sat down to eat, Jesus blessed the food, and then simply disappeared. I wonder how many times Jesus has walked with me, but I did not recognize him either! How about you, dear reader? That same night He all-of-a-sudden appeared in a locked room where the disciples were huddled, nursing an imaginary fear of being arrested. When the disciples thought they were seeing a ghost, Jesus ate fish in their presence, and invited the disciples to touch Him, telling them, ghosts don’t have flesh and bones “as you see me have.” Then Jesus simply disappeared from the room (Luke 24:36-40). Such evidence should be enough to motivate anyone to cry out to God in repentance; but alas, for many, they make the choice to harden their hearts and reject the great love of God and the warnings of the Holy Spirit regarding the judgment to come (John 16:8-11). But his greatness, when death came, was left far behind! Not a trace of his greatness could find. The third greatest miracle of all time was Jesus’ ascension into heaven forty days after Jesus’ crucifixion, witnessed by a large group of Jesus’ followers. The miracle is amazing beyond words. The witnesses saw Jesus ascend bodily into heaven, until a cloud took him from their sight (Acts 1:8-11). Obviously, Jesus’ glorified body was not bound by the force of gravity. He needed no rocket to propel Him into space, and no space suit to guarantee normal air pressure on His body and handle the extremes of heat and cold when the temperature could have been as much as 70 degrees below zero. Nor did He require an oxygen supply, and had no need for earthly food to live. Simply stated, with what is known about space flight today, the ascension could have happened only with a new kind of body, a glorified, immortal body. This God-miracle , as Jesus ascended to the right hand of His Father, was so mind-boggling we are left with only two choices: either believe the credible witnesses and accept Jesus as the Son of God, or reject the evidence and continue to live in rebellion against God. My choice is to believe. Then, when I get to heaven, I’ll probably need at least a millennium of teaching to begin to comprehend how Jesus ascended into heaven in His immortal, glorified body, and took His seat at the right hand of His Father! (Psalm 24:7-10; 110:1; Matthew 22:44; Acts 2:34; 7:55-56; Hebrews 1:13). What is important for now is not to get into speculation by going beyond the revelation of Scripture regarding Jesus’ ascension. Instead, we in the twenty-first century are challenged, like our apostolic forefathers, to comprehend the message of the two men dressed in white. They suddenly appeared to the witnesses on the Mount of Olives as they stared up into the cloud. “Men of Galilee,” they said, “why do you stand here looking into the sky? This same Jesus, who has been taken from you into heaven, will come back in the same way you have seen him go into heaven” (Acts 1:10-11 NIV). The implication is clear, stop your gazing, go back into Jerusalem, and do what Jesus said: “Wait for the promise of the Father,” which, [Jesus] said, “you have heard from Me; for John truly baptized with water, but you shall be baptized with the Holy Spirit not many days from now” (Acts 1:4-5 NKJV). O my dear Lord Jesus, please, I earnestly pray, stir my readers to love your grace and fear your judgment in our evil generation, doing both at the same time, lest the great day of reckoning catches us sleeping. God heard and remembered their cries. God wiped all the tears from their eyes. Together in hell they did sink. Miracle #4, the Gift of the Holy Spirit, is being shared in the next column. WHAT IS THE BEST VALENTINE’S GIFT YOU CAN GIVE JESUS? Cremation Confusion: Is it Unscriptural for a Christian to be Cremated? Dr. Tunstall, I am greatly appreciative of your writings. They are very inspiring and informative! God bless you for using your God-given talents and knowledge to inform and bless your readers. THANK YOU so much, Bishop Long. I always appreciate hearing from you. There are some 7,000 languages in the world, and even more including the dialects, and the Holy Spirit can speak each of them perfectly, even getting the inflection of the words right and can speak all 7,000+ of them at the same time! Divine genius! Omniscience is the theological word. I can speak only one language, and have worked hard to master it at least to some degree.